Founded in 2013, Reverb is the world’s largest dedicated online marketplace to buy, sell, and learn about new, used, vintage and handmade music gear. Reverb.com allows anybody from large dealers and manufacturers to small shop owners and individuals, to create free listings for musical instruments and other related equipment. Reverb also includes an integrated price guide that pulls transaction data to determine fair market values for a wide range of instruments and gear. Reverb charges 3.5% sales fee for items sold through the platform and has also released iPhone and Android apps that include the main features of the Web site. Reverb WooCommerce Integration at Cedcommece involves the integration of the WooCommerce e-commerce store with the Reverb marketplace through this extension, which automates the ordering process and facilitates the products handling and management. This extension interacts with the Reverb Marketplace to integrate the synchronized product listing between the WooCommerce and the Reverb retailers. After installing the extension, the merchant can create the Reverb Categories on the WooCommerce store. The process enables the merchant to configure the desired product category into WooCommerce for automatic submission of the selected product to the same Category on Reverb. Synchronized Inventory: Inventory Synchronization at regular intervals. Synchronized Product Editing: Besides adding the products, any product information changes made on the WooCommerce store reflects on the Reverb. Automated Inventory Updates: No manual updating is required. Automatic inventory updates are available for better management. Creation of WooCommerce Orders: The newly placed orders on the Reverb Web site are automatically created in the WooCommerce store with all the required details as it is on the Reverb Web site. Consolidate Orders: Easily manipulate orders from the WooCommerce store. Product Category Mapping: Follows many-to-one category mapping philosophy. Admin can map many categories of the WooCommerce store to the single category of Reverb. 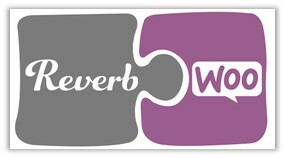 Updates Information: Changes made in the WooCommerce store reflects on the Reverb Web site. Bulk Upload System: The merchant has the flexibility to upload any number of products on the Reverb Web site using the bulk product upload feature. Shipment Automation: Enables the admin to automate the shipment process with Shipstation, Shipwork, Stamps.com, Linnworks, Xtento, ShipRush. Feed status: Creates a Log of the Feed of all API requests made to Reverb. Admin can view all the details of that feed in the log.